FIRST EVER REVIEW OF PARIYERUM PERUMAUL! 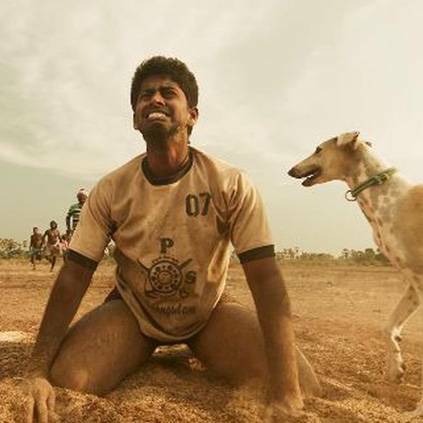 Pariyerum Perumal is an upcoming film that has Kathir and Anandhi in the lead roles. Produced by Pa Ranjith under the banner Neelam Productions, this film is directed by Mari Selvaraj. It has Santhosh Narayanan composing the music, and the audio released a few days back to positive reviews. Extraordinary acting by Kathir, Anandhi, Lijesh, Yogi Babu, hari n each and every single character in the film. Everyone has lived as the characters. Music, Sound, Editing, Cinematography, Art, every department at its best. Gonna be one of the most important film in the history of cinema. Mari anna ur gonna fly high n go places. Love u ranjith Anna for producing such a gem of an art. Emotionally driven. Simply Vera level. Be proud team Neelam n each n every crew member of Pariyerum Perumal. U all deserve the best. Hats off to all the people behind this amazing art. This one should be celebrated n we should support n take it to places. This movie is for everyone. Pariyerum Perumal will create discussion n everyone should discuss n understand how real the world functions n discuss to make a change as well. Be the change, bring the change, Love you all. KAALA First Day Box Office Collection Is Here! OFFICIAL: Rajini-Karthik Subbaraj Film Shooting Commences! People looking for online information on Anandhi, Kathir, Mari Selvaraj, Pa Ranjith, Pariyerum Perumal, Santhosh Narayanan will find this news story useful.